In times of RO purifiers and blah blah, I quenched my thirst for an ancient story with a mesmerizing Stepwell from a bygone era. 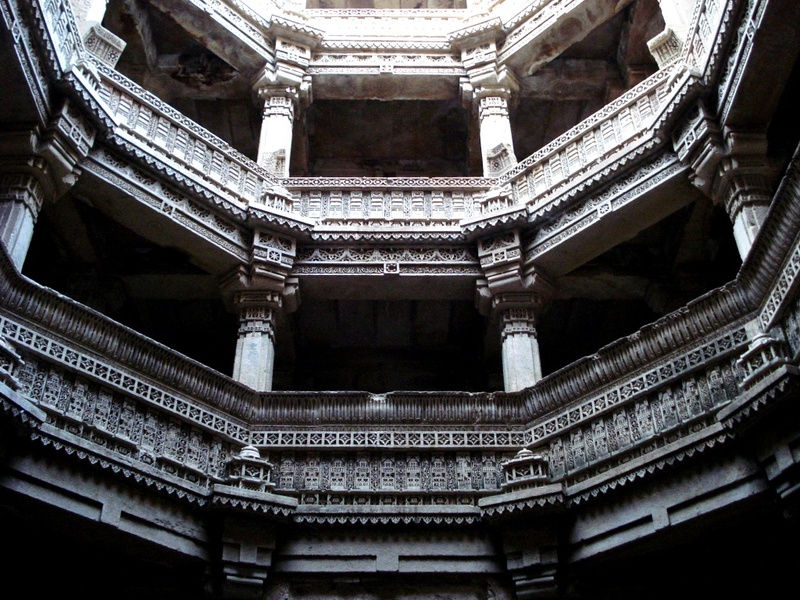 This is Adalaj Ni Vav at the outskirts of Ahmedabad, Gujarat. It’s a well, but there is no drinking water available. Exchanging pleasantries with damp smells and a few bats wasn’t exactly the introduction I was looking for. But having overlooked these nags, what you do get to see is an example of function blended so well with the form, that it puts commercial architects to shame. 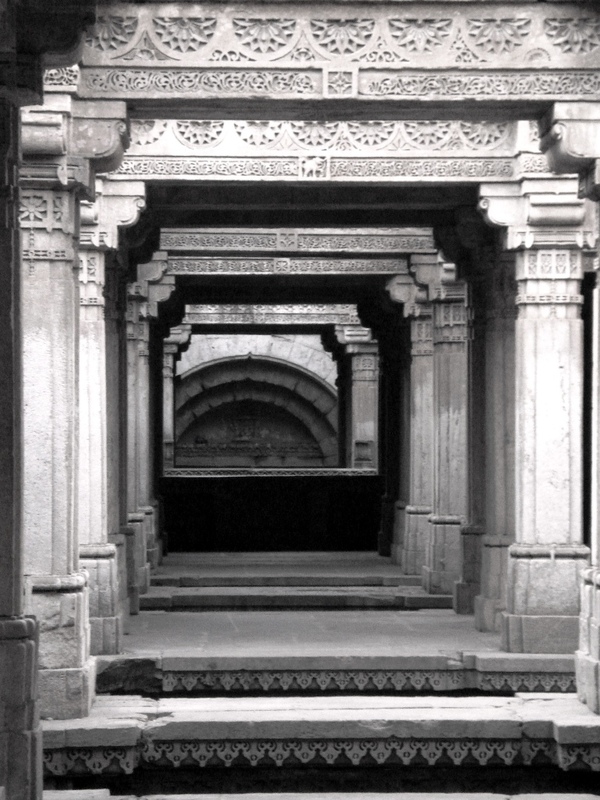 A Vav in Gujarati, means a stepwell – a well that is accessed through many steps. Built as a resting place for pilgrims and traders by the then Queen, Rudabai, this Vav served more than a utilitarian purpose. Alternatively, you could call it the Facebook of the 15th century. People who came in to fill water or to quench their thirst and rest, would eventually interact and mingle and even trade. So you 21st centurions have no reason to swell about the advent of social networking – the wise Yodas of yesteryears have been there, done that! 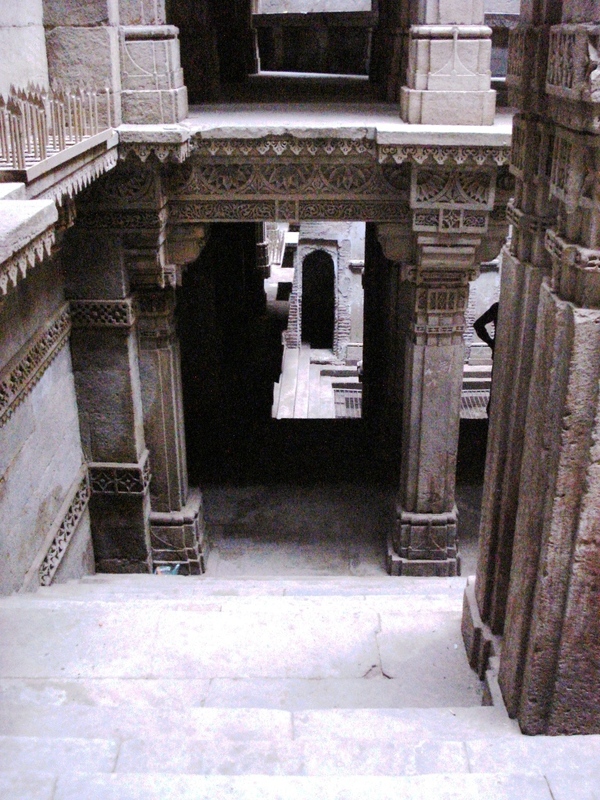 The Adalaj Ni Vav stands as the only major monument of its kind, with three entrance stairs leading to a stepped corridor. These three entrances meet at the first storey, underground, in a huge square platform. 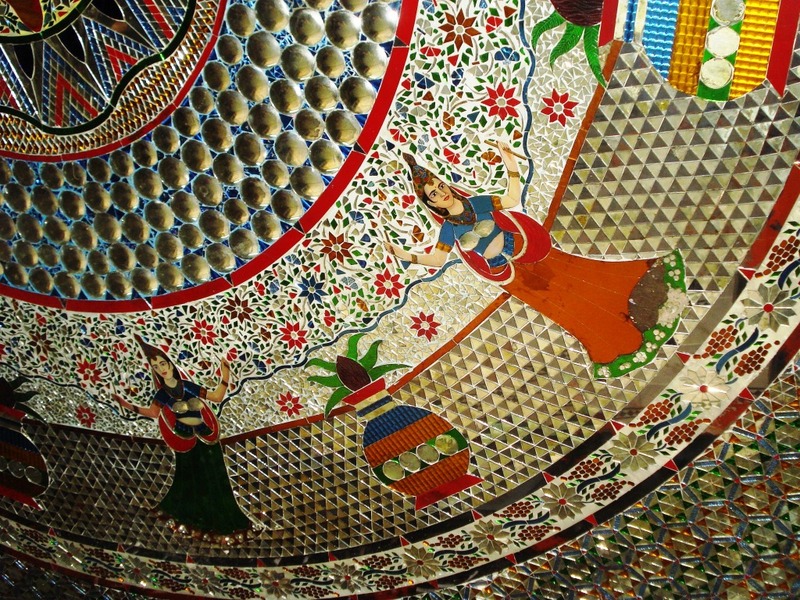 There are openings in the many ceilings which make way for good ventilation for the octagonal well. However, direct sunlight does not touch the flight of steps or landings except for a brief period at noon. The structure’s interplay with light is worth a see. Best time to go would be when the sun’s up and when you, are underground. It is also a spectacular example of Indo-Islamic architecture and design. The cross pollination of creativity brings its rewards in more than the intended area. As a hub that encouraged interaction, business, culture, the Vav stands as an edifice of innovation and craftsmanship that one can only marvel at. Talking further won’t help unless you see this objet d’art. Also, a very small but interesting mirror temple adorns the site. Again, not worth a miss! About the author: Shuchi Kapoor left a decade of madvertising (that’s how she likes to call it) to pursue something more fulfilling, like travel. A writer by profession, a photographer, a storyteller and a curious traveller by instinct. The word local and street adds the flavour to her journeys. Trust to find her in some nooks and corners getting her hands dirty or learning a new language with the locals. She doesn’t belong to a particular place or genre anymore. Nevertheless, she is known to take you along on her journey with her words.